Iselba Residence Hotel is located in the center of the Gulf of Marina di Campo, in the middle of a pinewood of 20,000 m2, directly on the beautiful white sandy beach. At a range of 800 meters, you can reach the center of the village by foot or bicycle. 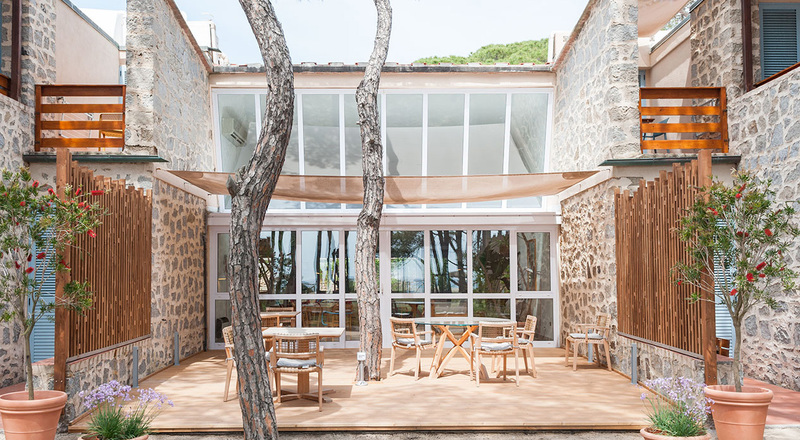 The natural symbiosis between the scent of the pines and the fascinating smell of the sea, make Iselba Residence Hotel a unique and particular environment, able to offer emotions and provide the guest with a strong feeling of well-being and unforgettable memories. Iselba Residence Hotel is the ideal place to spend a seaside vacation with the entire family: the hotel has a fully equipped beach, only a few meters away from the hotel rooms. A few steps outside the apartment and… you are on the beach: and into the blue, transparent and clean sea.